Tokyo, Japan – The Health and Labor Minister Yasuhisa Shiozaki, revealed on Tuesday, that a man who helped to install covers on damaged reactors at the Fokushima plant, from October 2012 to December 2013, developed cancer from high radiation exposure. The man didn’t work in 2011, when the plant was destroyed by a massive earthquake and tsunami. After this incident, the levels of radiation were remarkably higher. The plant has been stabilized, however, it still has leaks of contaminated water. According to Yasuhisa Shiozaki, more than 20,000 people have been exposed to dangerous levels of radiation. Now this 41- year-old man from the city of Kitakyushu, in Japan, is just one of the victims affected by one of the many consequences of radiation: cancer. Furthermore, other 10 workers have also developed similar conditions. Since Chernobyl this has been the worst nuclear disaster. The massive tsunami that happened in march 2011 forced more than 160,000 to flee their homes. The levels of radiation were extremely high and this caused the development of important and negative factors such as leukemia and other illnesses, although, several workers at the plant had died due to injuries or illnesses such as heat stroke or heart attacks. The man worked from October 2012 to December 2013 at the Fukushima plant by installing protective covers over damaged reactor buildings. His total exposure of 19.8 millisievert was four times the Japanese exposure limit. However, the man also worked in several nuclear plants before, but the radiation exposure was mostly from his work at Foukushima. After Masao Yoshida, the Tepco general manager, an Electric Power Company in Tokyo, died in 2013, from radiation exposure, the company said that they weren’t in the position of assessing the worker’s health after filing for compensation. 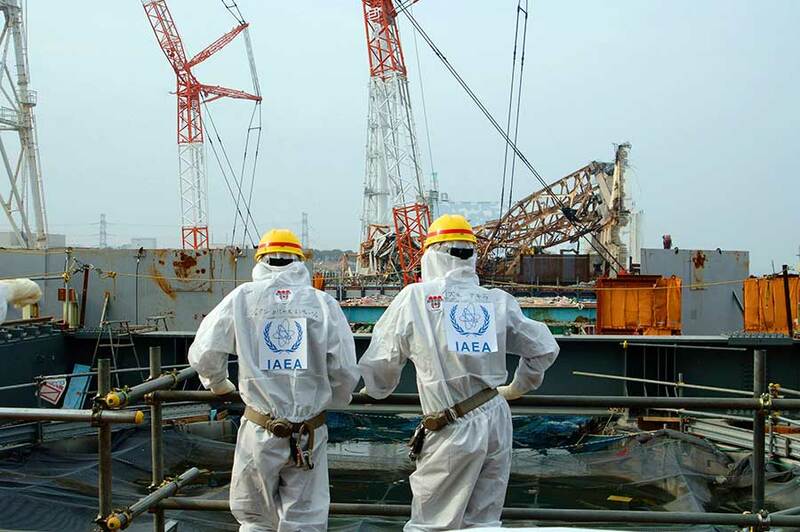 “We would like to offer our sympathy to the former worker […] We would like to continue working on the reduction of radiation at the site as well as thoroughly controlling the radiation exposure of the workers.” said the company to CNN. The Health and Labor Ministry said the man has received government approval for compensation for the radiation-induced illness. Since 1970’s the government have supported more than thirty employees that were victims of radiation consequences. However, the case is under investigation, medical experts could not determine if his exposure at Fukushima was the direct cause of his leukemia.